"Everyone had a wonderful time and is still talking about it. The games were WONDERFUL!". Enjoy OUTDOOR FUN with our Picnic GamesMaster! Planning a Company Picnic, Family Reunion, or Similar Event? Our Games Coordinator is a GREAT way to entertain adults and families alike! These unique games have wacky twists that make them EXTRA FUN! 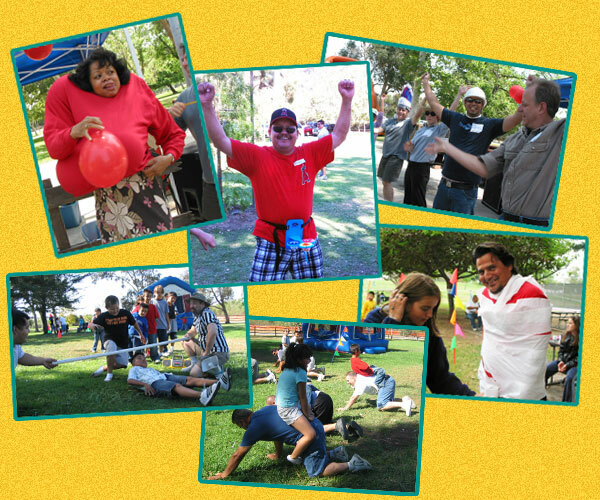 We have individual games, team games, parent-child games, even GAMES WHERE EVERYBODY PLAYS! We even have prize packages available!